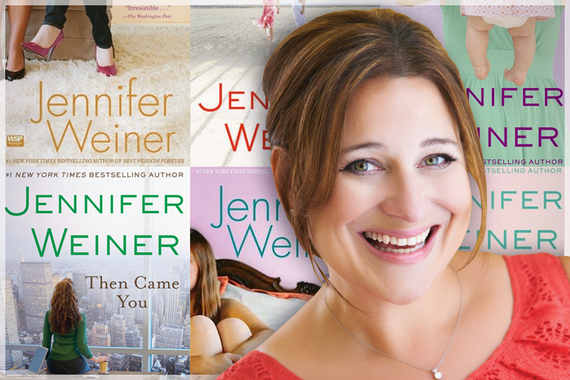 Like the late comedian Rodney Dangerfield, novelist Jennifer Weiner just can't get any respect. It's become her shtick as an author. The Princeton grad and perennial best-selling author is complaining once again about how the "snobs" in the literary world look down on her novels. She's just published a piece in the New York Times where she laments her status as a writer of popular fiction. Weiner's professors were Joyce Carol Oates and Toni Morrison and she says she couldn't ever have imagined them liking her published work. Has she asked them? And even if they don't, so what? Most authors never even get reviewed by the Times , but she's a contributing opinion author there. She was even the subject of a glowing profile in The New Yorker about--you guessed it--not being respected. How many writers in America get that kind of exposure? Don't be fooled by all her happy-face publicity photos. It seems that whenever you read an opinion piece by Weiner or see her quoted, she's got this humongous chip on her shoulder. The last time I checked, her first novel was in its 57th printing. The New Yorker reported that "Weiner's books have spent two hundred and forty-nine weeks on the Times best-seller list." Over fourteen thousand readers on Goodreads had reviewed her latest novel. Weiner's also made millions from her books, and more than one of them was turned into a movie. How many writers in America enjoy that level of success? Whatever people say about her books and however much she gripes about being dissed, Jennifer Weiner is in the publishing world's 1%. She wealthy and famous, but she's not satisfied. I guess she wants to be as honored as Toni Morrison and Joyce Carol Oates. Well, who wouldn't? Weiner's consistent carping makes me think of the author whose first novel sold half a million copies in hardcover and was ecstatically praised--but he complained to a mutual friend that he didn't get a Pulitzer nomination. For some people, some authors, nothing is ever good enough. Lev Raphael is the author of twenty-five books in genres from memoir to mystery.